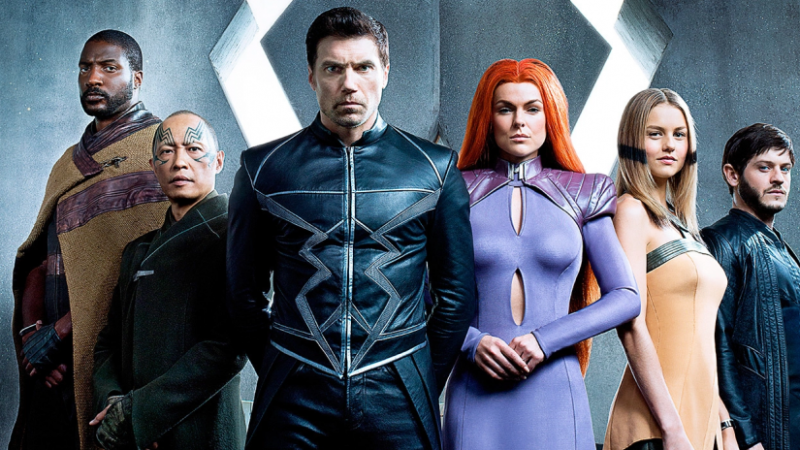 TV Review: Marvel’s Inhumans. Or, Marvel’s First Waste of Time? The Marvel Cinematic Universe began in April of 2008. Over the course of nearly a decade, it has produced seventeen feature films, five Netflix shows, five shorts, and two television series, with a number of other projects with impending releases or otherwise in development. 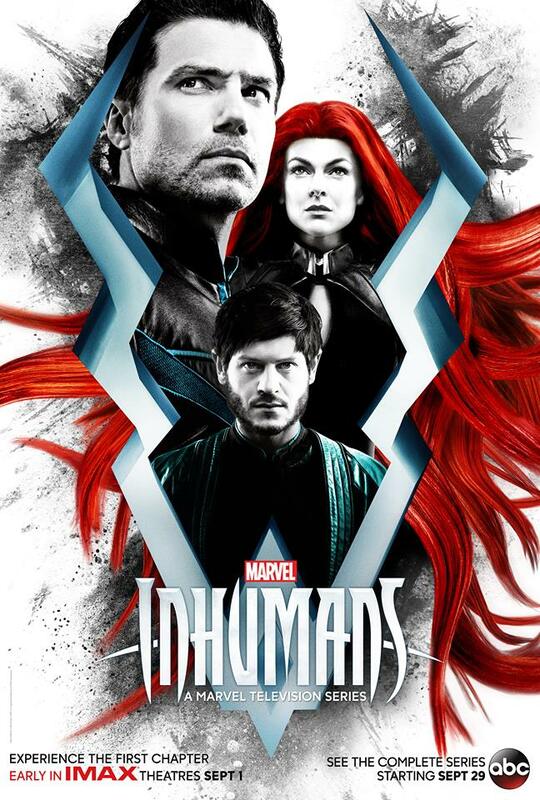 Now a third TV show has been added, and I have to say… Inhumans is easily the worst addition to the MCU yet. It took almost ten years, but Marvel Studios may finally have just had their first real misstep and produced a black sheep for the MCU family. In fairness, that is a pretty impressive record, and Inhumans is naturally judged more harshly for standing in such vaunted company. Not entirely unlike how Wonder Woman may be an utterly fantastic movie in its own right, but even more so when compared with the rest of the DC movies. When it is impossible to escape association, judgment by comparison is likewise inescapable. Even worse, Marvel really hyped it up by releasing the first two episodes in theaters, followed by the full premiere of an eight-episode season. Those first two episodes were universally panned, or at least I have yet to encounter one positive review of the experience, including my own. It was a huge build up for a gigantic let-down. Basic premise of the show: when Black Bolt, the Inhuman king of Attilan, and most of his family are ousted in a military coup led by his brother, Maximus, they flee from their city on the moon to Hawaii. There, they must struggle through a foreign world, learning about humans and themselves as they fight to reunite and save each other, their people, and the humans of Earth from Maximus’ ambitions. It’s an interesting pitch, but they executed it in all the wrong ways. Story, plot, characters, acting, themes, setting, visual effects, music, action, comedy, drama, everything is terribly done, and it’s so, so, so very campy. The plot is pretty simplistic and formulaic, and while one can make a similar argument about that in every genre, it’s really pronounced here. There are pretty much zero surprises, and what few surprises there are… well, they’re not surprising. Oh, guy-who-dies comes back to life, been there, done that. Oh, guy-who-thinks-too-much must learn to think a little less. Oh, alien princess teleports to Earth, and pairs up with the first guy she meets. Seriously, there was nothing new. It’s a story featuring a city on the moon and people with superpowers, and there’s still nothing new. That might not have been so bad if they hadn’t done so poorly with the central cast themselves. Black Bolt is one of the mightiest figures in the Marvel universe, and yet they did so little with him in his own story. Medusa as well, she is supposed to be quite formidable, as the freaking queen of the Inhumans, but they brought her down in the first episode and crippled her powers. Crystal is turned into a sheltered princess (in a city of less than two thousand people), Triton is missing for most of the series, Karnak is made pretty bland for much of the show, as is Gorgon (who is also suddenly black, and pretty much the only black Inhuman we see). Even Maximus goes from “capable, valid leader” to “mad, greedy despot” in about four episodes. The minor characters aren’t exactly astounding characters either. The cops are depicted as hostile and mean just because. Some random men Gorgon meets practically force him to let them help him, and they never explain exactly why they’re so set on this. There’s a scientist who apparently has enough influence to have a small private army guarding his facilities, but they don’t do much with either him or his army or his facility, he’s serves a purpose and they write him out. There are other Inhumans, people in Attilan, who appeared a few times, but I never remembered their names. Basically, everyone just felt really flat and forced. I do want to absolve the actors of responsibility for this, as much as possible. I’ve seen a couple of them in other projects, and they were quite good in their previous roles. But either they just weren’t quite right for these roles, or they were just being directed very, very poorly. Then again, as there is a point in the middle of the season, especially the sixth episode, where the cast and their characters were actually doing very well, perhaps it was both the writing and the directing. Either way, I’m certain the actors did the best they could with what they were given. It’s not their fault that it happens to be their faces on the screen during the less-than-stellar moments of the show (which made up most of the show). I can’t help but notice so many inconsistencies. Black Bolt uses a sign language, yet only one or two people understand it (and why could they never just caption his signing?). The royals are supposedly far above the commoners in a highly stratified society, but, again, less than two thousand people here, how far removed can they possibly be? We see the Inhumans monitoring all of Earth’s transmissions, yet they are ignorant of pretty much everything about humans, human society, human technology, etc. Except when they magically know something. It’s like someone couldn’t decide between comical ignorance and keen intelligence, so they just went back and forth between them without comment. The list goes on, but, for brevity’s sake, moving on. Even the special effects and the soundtrack, typically two strong suits of even relatively bad shows and movies these days, just did not measure up. When we’re panning through Attilan, for instance, the CGI is actually so bad it’s almost painful to look at. The music is very forgettable (as I have already forgotten it) and stereotypical, nothing special at all. 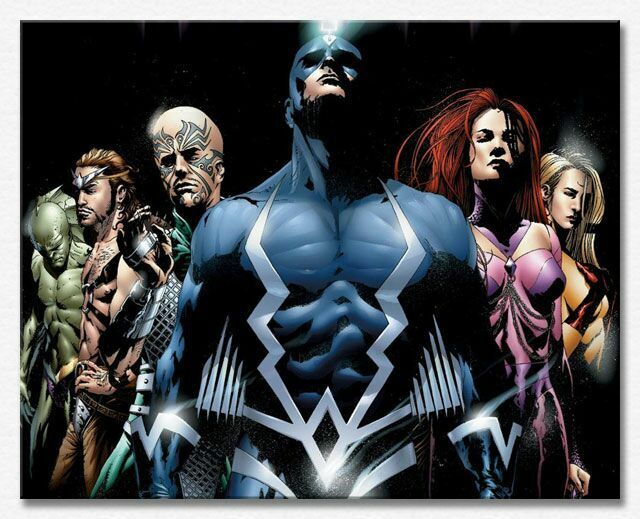 In almost every way I can think of, Inhumans is laughably terrible, with few redeeming qualities. I like the character of Mordis, and dislike how they dealt with him. I particularly liked the relationship between Karnak and Gorgon, how the complemented each other. I like how the royals learned about humanity, and the flaws in their system, but I dislike almost everything else. 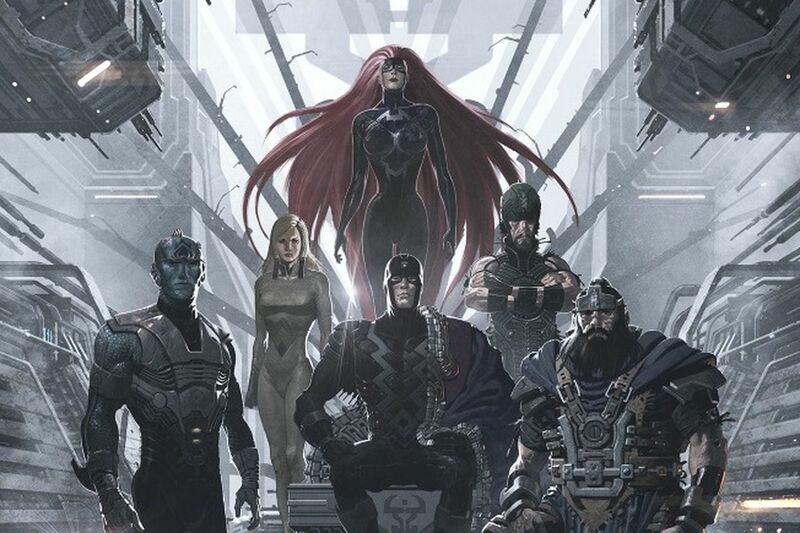 I know Inhumans was originally supposed to be a movie, but that plan was altered, and I can imagine that was because they took too much time with each character, it would never have all fit in one movie. Unless they did this little thing called “editing,” that is, and trimmed the excess. As for what we got, I think they ought to have adjusted the format a bit. For instance, with about half a dozen characters of note to follow, they could have just followed one or two of them for an episode and told each of their individual stories in turn. I mean, most of them only had maybe one episode’s worth of content surrounding them anyway, why not just make it official? It would have at least spiced things up, and we could have gotten to know the characters individually after having met them all together. In short, Inhumans is an idea which could have been so much better than it was. It’s not entirely worthless, but it’s pretty bad, and Marvel’s worst work by a long margin. Personally, I think the best thing that could possibly happen is if we all forgot about it for a long time and then it got rebooted in a decade or so. I’m just hoping it turns out to be utterly irrelevant to the rest of the MCU. Rating: 6 stars out of 10, and that is still being generous. Grade: C-Minus, also being generous. This entry was posted in Tuesday Review, TV Shows and tagged Inhumans, Marvel Cinematic Universe. Bookmark the permalink. 9 Responses to TV Review: Marvel’s Inhumans. Or, Marvel’s First Waste of Time? I still haven’t finished watching it, but I have the feeling that it will be quietly declared as not really part of the MCU anyway. Thankfully if Marvel had to fail, this was the best project to do so, because it won’t disturb anything in the long run. I agree completely. They can just pretend that it never happened (and the fans won’t complain about that) and then way, way down the line, they might tried again with a reboot. If anything the whole thing shows that it is better to not allow Perlmutter to meddle in any of the content. EVER!!!! From what I’ve heard, you managed to hit it right on the head with it not being quietly disowned from the MCU. Yay! Wait, what have you heard? And not being quietly disowned? I thought it would be? Ah okay…still what did Marvel do that you came to the conclusion I am right? Basically, they’re shunning/ignoring/pretending it doesn’t exist. That sort of thing. Kevin Feige pretended the line was breaking up when he was asked about it in a telephone interview. lol…good for him. Honestly, I doubt that anyone would be angry if they just disown the show and maybe try again a few years down the line. They should give AoS more credit though, without the show the MCU wouldn’t feel half as connected.